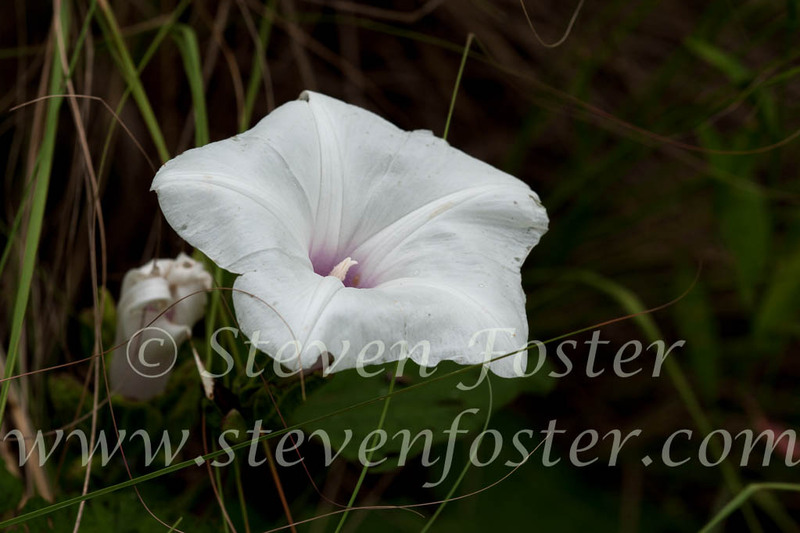 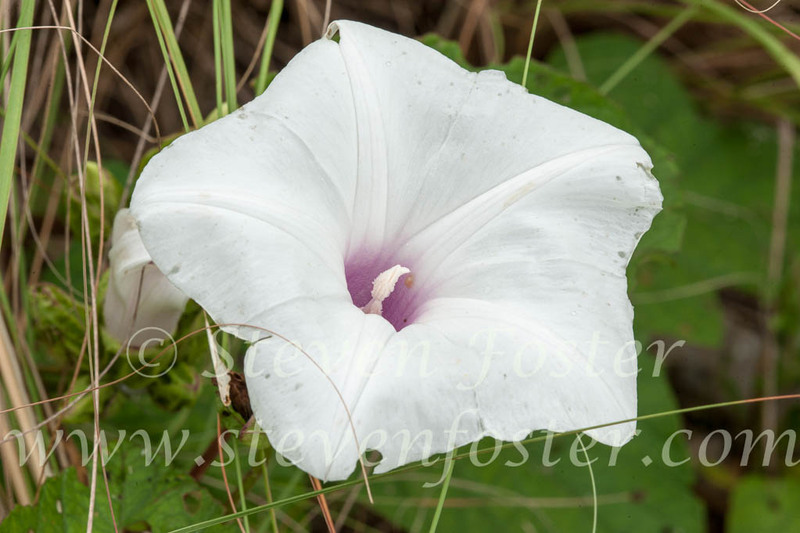 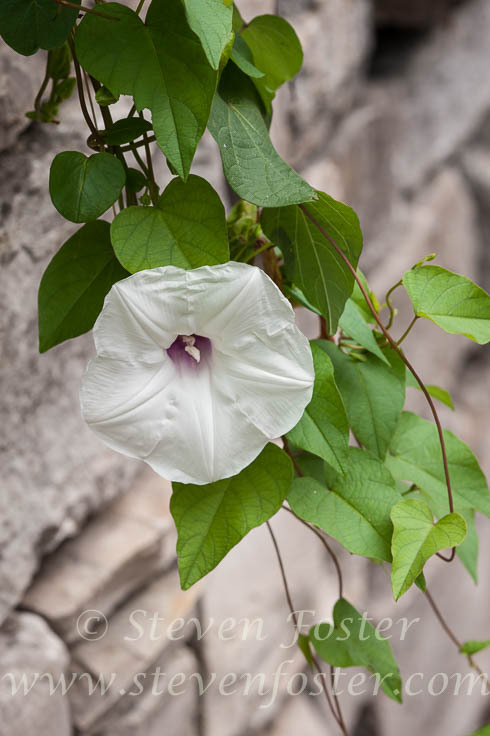 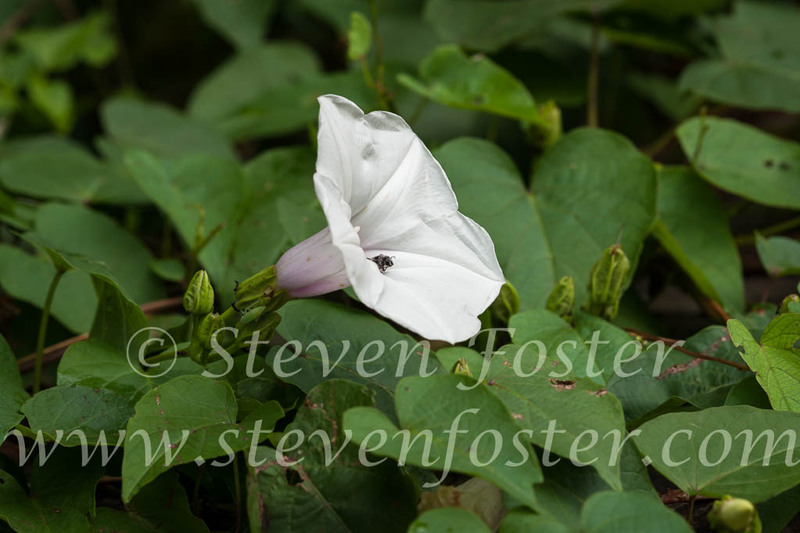 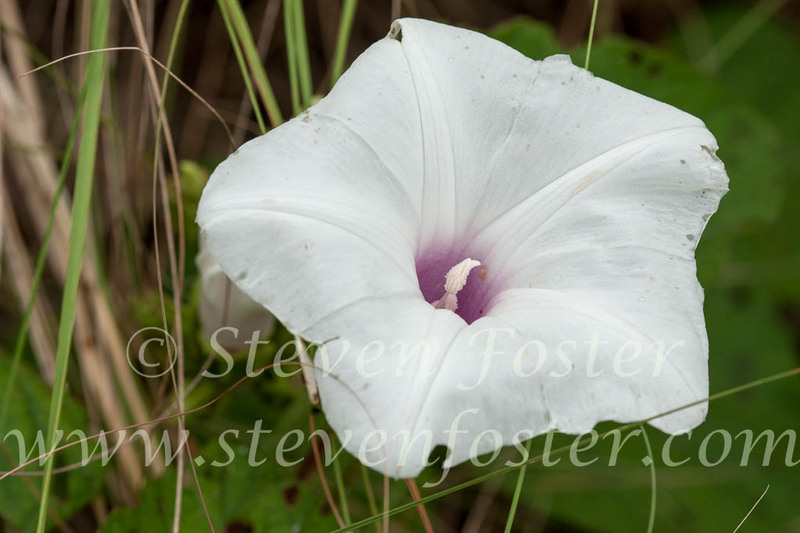 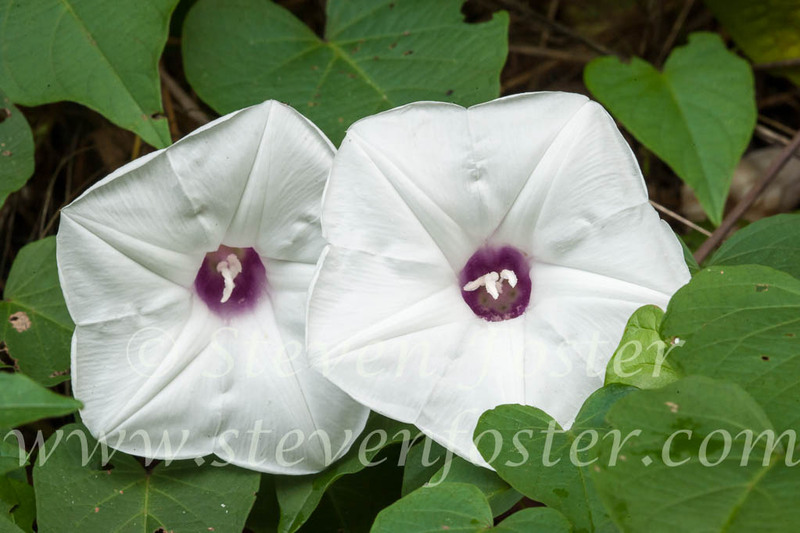 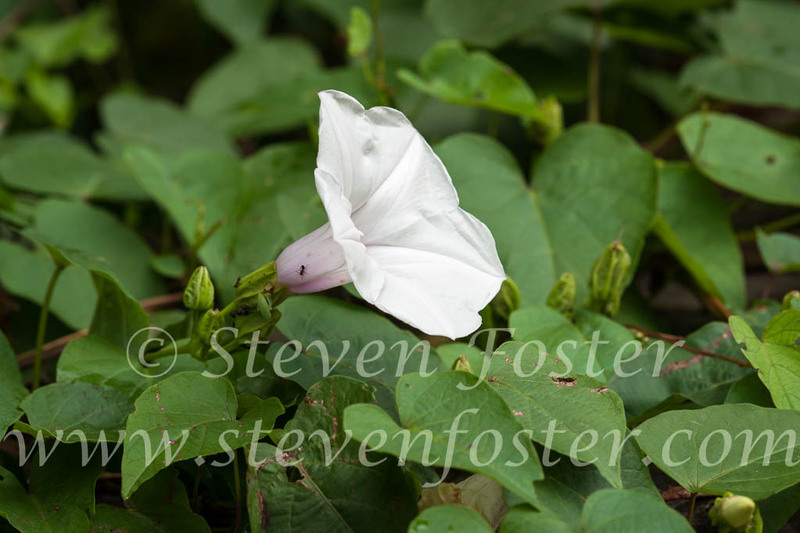 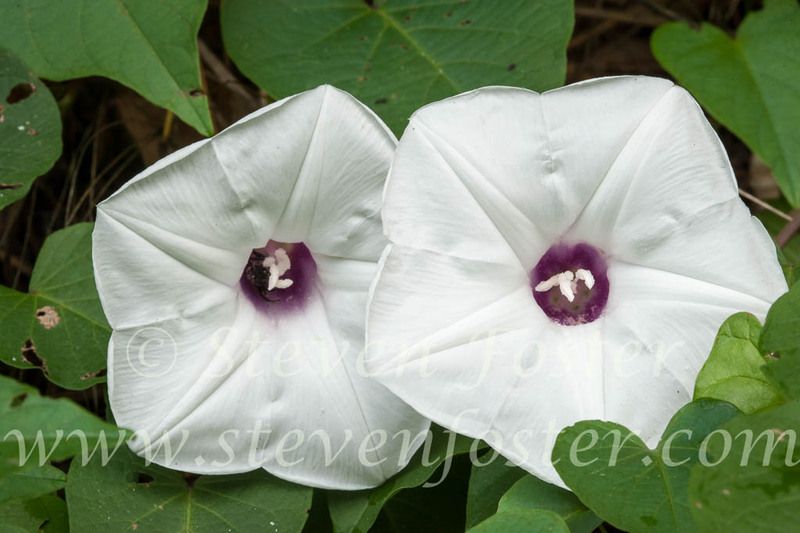 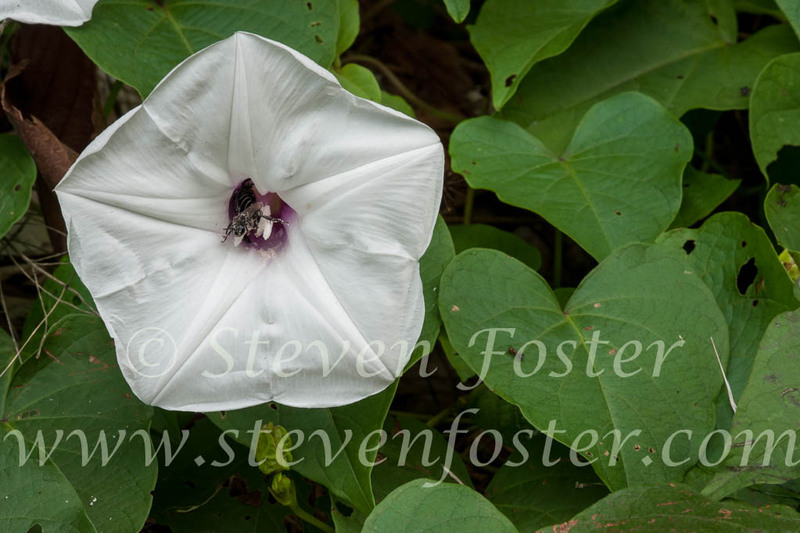 Photos of Ipomoea pandurata, Wild Potato Vine, Manroot, Man-of-the-Earth. 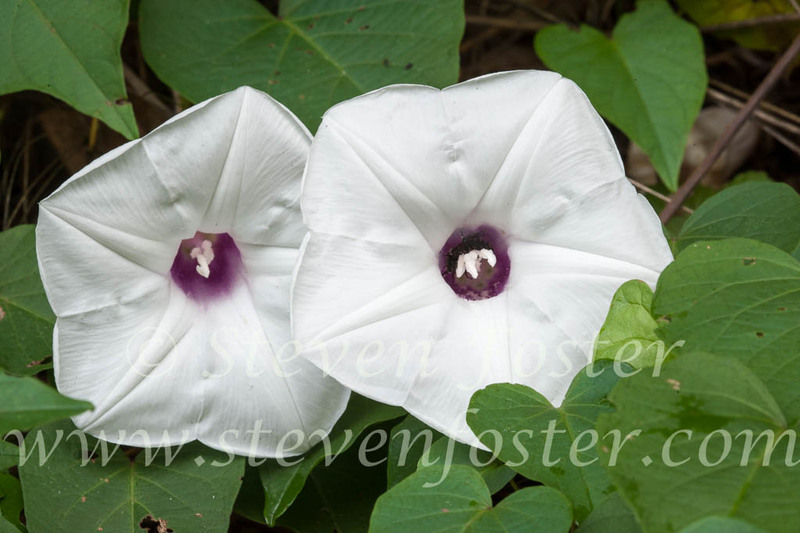 Ipomoea pandurata , Wild Potato Vine is a purple-stemmed vine with a very large, deep-set, starchy, difficult-to-dig root weighing up to 20 lbs (9.07 kg). Cherokee, Creek and Iroquois used root decoction as a diuretic, laxative, expectorant for coughs and ashtma. 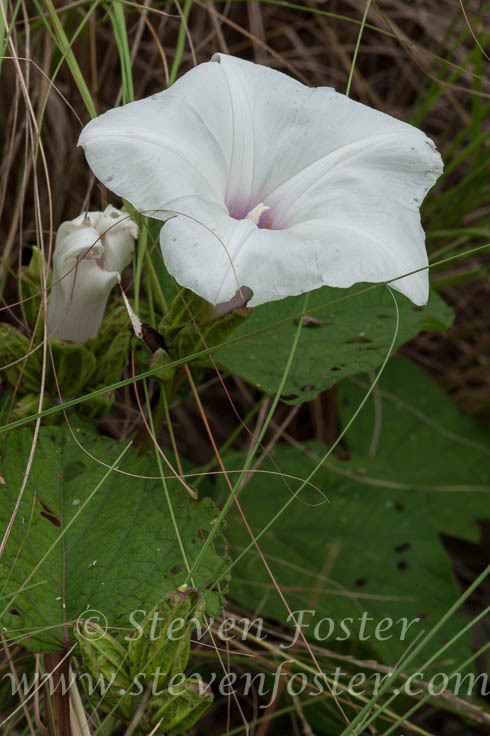 Powdered plant used in tea for headaches, indigestion. 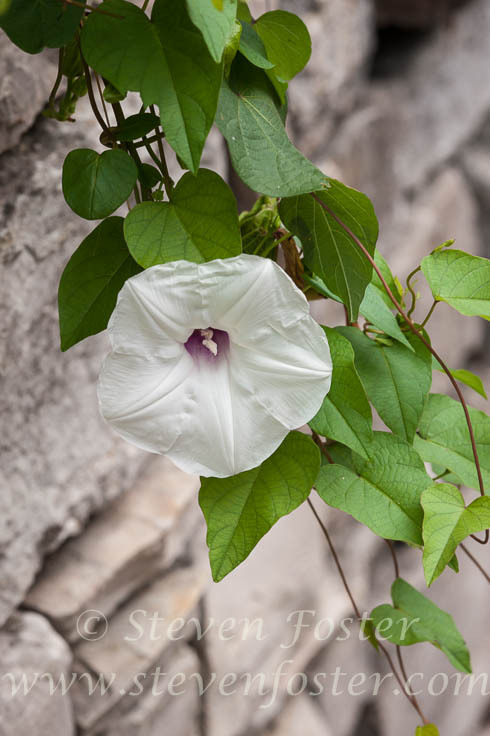 Root extract shown to have strong antimicrobial activity.